DCPutnam Consulting allows me to work in a field that I love! My 24+ years of professional experience have given me a wealth of knowledge within the field. I have worked closely with family caregivers who have been in great distress at the thought of placing their loved one in a memory care facility. 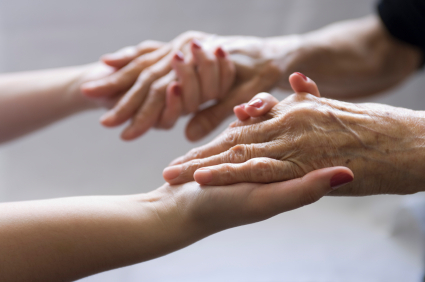 We have had very personal conversations around Hospice and end-of-life care. I have spent many hours training / certifying new employees about the “ins and outs” of memory care, as well as providing monthly in-services to staff members in assisted living communities, adult day programs and nursing homes. Education programs and consultations have been available for the general public and family members in Connecticut, Florida, Indiana, Maine, Massachusetts, Mississippi, New Jersey, New York and Rhode Island. I have recently (3/2019) moved to the Pittsburgh, PA area and will continue offering my services in the greater Pittsburgh area. Understanding Alzheimer’s disease and the other dementias is critical. Over 5,800,000 Americans currently have been diagnosed with Alzheimer’s disease and the Alzheimer’s Association anticipates that by 2050 there will be more than 15,000,000 Americans living with this disease if we do not have access to a cure. The content for each of these areas of concentration overlap, but the perspective and needs do vary. "I also wanted to mention, the DCPutnam lunch and learns have been so helpful. I have learned so much that I wouldn't have even thought about."